results based on projections ? They must really be panicking if they are releasing *more* internal numbers so soon after the original release. Everyone with more than two brain cells to rub together knows internal numbers mean slightly less than nothing - from both AMD and Intel. Astonishingly, you'd think it was Intel desperately trying to grab mindshare from AMD - throwing more numbers into the public domain so quickly is akin to shouting "hey, over here, don't forget about us" after not getting the initial reaction hoped for. Yep, as a CFDer in a past life, with that memory bandwidth it definitely can. But if power limits means it actually runs quite a bit slower in the FPU, then the bandwidth may not matter. Has intel said yet if these include the liquid coolers or if they will be extra? "Performance results are based on testing or projections as of 6/2017 to 11/7/2018 and may not reflect all publicly available security updates." I'm waiting for Intel to post performance figures for their "fastest secure processor"...but I guess that I'll be holding my breath for that one. I'm sure they'll post them once they finish the test suite....Those old guys take their time. Isn't Cascade Lake-AP supposed to be the replacement for Phi? Why are they benching it against EPYC when it would be GPU products positioned most directly against it? To make themselves look better ? For the same reason Mayweather fought McGregor. I also thought about this. I mean it performs the best in very parallel BW heavy tasks, that take advantage from AVX-512. Many of such tasks run even better on GPUs, which offer more BW and parallelism. Yeah, but that also means that Intel is creating some confusion among potential buyers. Unless Intel is just going to spam the market with Cascade Lake-AP for awhile as their premier Xeon product for pretty much everything. The current HPC paradigm is highly-parallel, efficient CPUs hosting compute cards, whether they be GPUs (Summit) or Xeon Phi cards (Tianhe). Cascade Lake-AP sort of takes the "you can have your cake and eat it too" approach further than Phi ever did, by being fully-capable x86 "general purpose" CPUs that just happen to have a little grunt in the HPC arena as well. 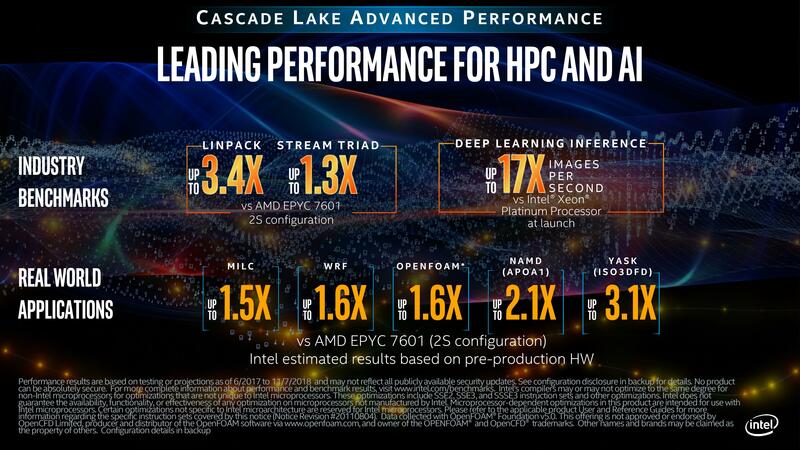 Still, I don't see Cascade Lake-AP stacking up very well against anything from Nvidia. Most of the HPC market has embraced CUDA and/or OpenCL. I have to admit, it would be stupidly easy to code for Cascade Lake-AP, though. Easier than Phi ever was. Yeah, CUDA isn't anywhere near as big an issue as it was ~10 years ago. I also don't see much point in Cascade lake-AP. The fact that it is 2x24-cores "glued together" lessens the value a lot compared to what it would otherwise have (at least a lot of cores connected in a cache-coherent manner). Now Zen2 seems to fill most of it's niches, unless memory bandwidth is absolutely everything. As I mentioned in one of the earlier threads, there were rumors that the Core Xeon Phi replacement was going to include 3 additional AVX-512 units instead of just 1. Probably on 10 nm. So Cascade Lake-AP would be something they hacked together since they obviously can't deliver that. Intel is doing the wrong moves again despite they wanted to change for the better.... Oh boy. That won't end good. I would like them to try something other than what appears to be desperation. That takes years, this is what they have. Yeah, especially given the 10 nm debacle. Yeah that's what 3 major product lines being axed another 2 getting pushed back. You hope that they haven't had to shelve actual developments. But that assumes they were really trying to push it in the first place. It's probably still another 3 years till we Intel's real reaction to Epyc and Ryzen. Intel just need to be competitive when DDR5 hits. 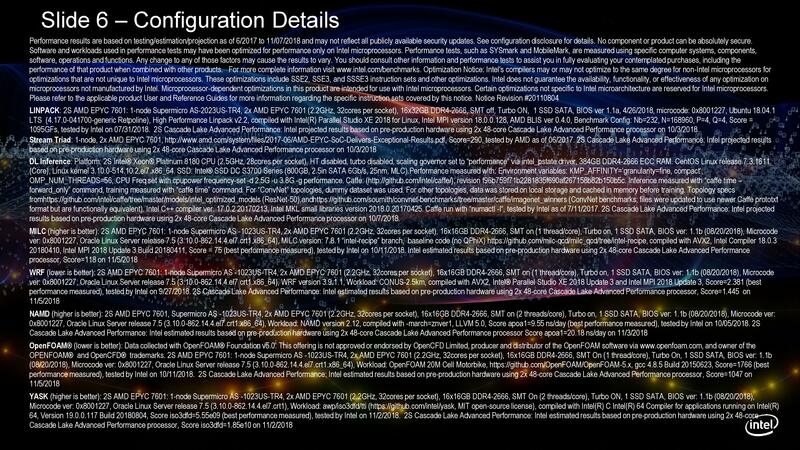 So if 2.5ghz is the base clock are we looking at ~400watt TDP? I wonder if intel are just going to target HPC with these or are they going to be priced to compete with Rome across all 1S and 2S markets? 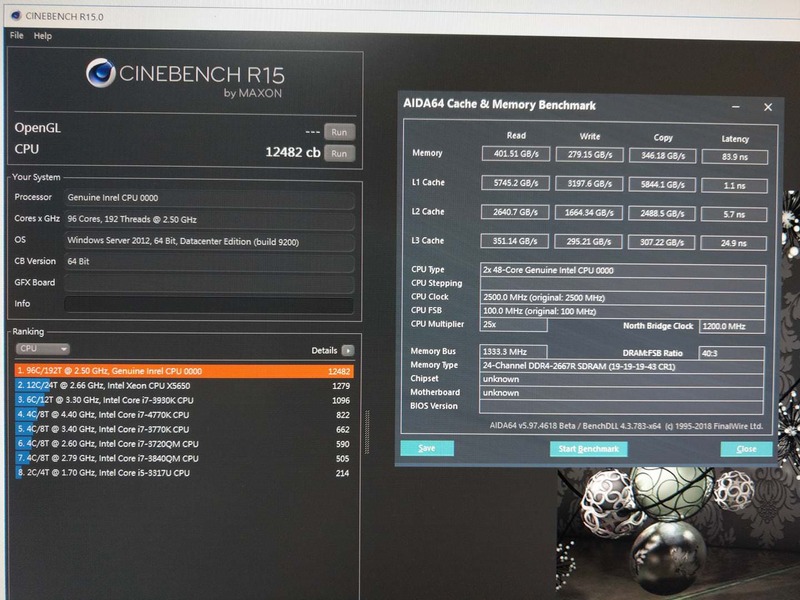 I admire Intel for making lemonade with lemons, but if Rome is 2.25ghz base on 64 cores in 180watt tdp its still beating it at significantly less power.